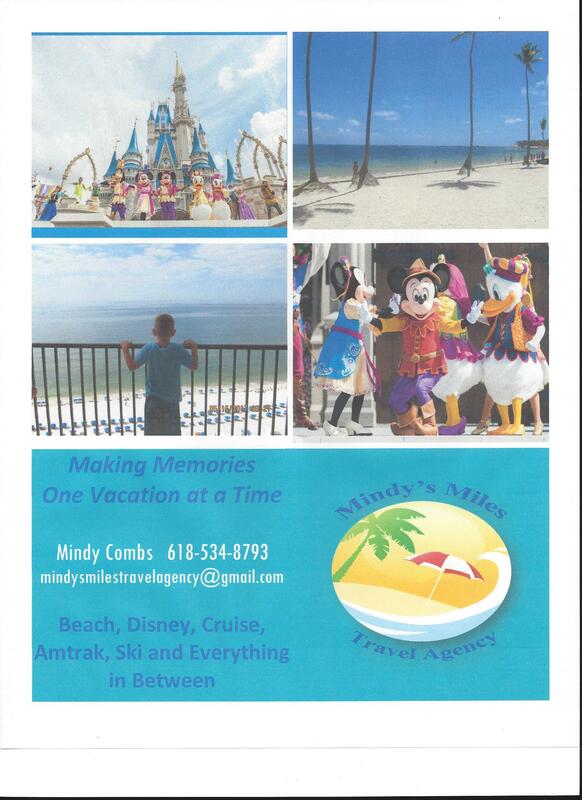 Mindy's Miles Travel Agency is locally owned and operated by Mindy Combs from Carterville, Illinois. What started as a personal love for travel and passion for helping others has now transformed into a daily opportunity to assist clients with all their travel needs. Mindy's Miles Travel Agency will always put the customer first and Mindy personally plans each vacation. No matter how big or small the budget Mindy will help turn your dream vacation into a reality. Whether you need a 1 night hotel stay, a family getaway to Disney, all-inclusive beach vacation, or a 3 week European cruise Mindy's Miles Travel Agency can assist with any of your travel needs.